Now that we can build up a data file and read it in to a Python program, let’s build another picture using a data file! 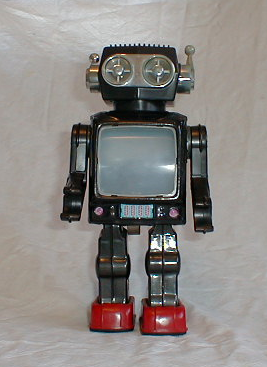 Your robot does not need to look exactly like this, just something similar will do. 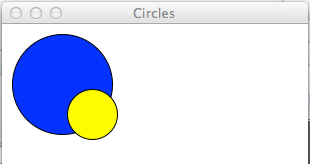 Obviously, you need to draw a few different shapes, each with different colore to get this robot on the screen. You can see all the colors supported by the graphics package we are using at this link: Tk Color Names. Your first job is to set up a text file containing the data we need to draw a simple picture (not a complex one, but you can if you like!) Use the example code from today’s lecture to get started. Your data file will be one string or number per line, and you use the first string to call a function that will draw the object. That function will read in the additional numbers needed, then draw the object. That should get you going!